An easy to use database that allows you to identify all insecticides in any given mode of action group. 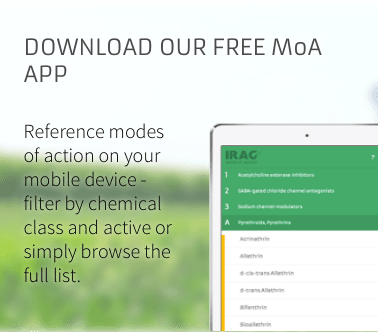 The app allows the user to filter and search by either MoA group or insecticide and is free to download from the iTunes Apple Store or the Google Play Store. Suitable for use with tablets and phones.